Dill, Nasturtium, Sage, Zinnia and Mint. Sow either direct into soil or in pots to plant out later if clubroot disease is a problem in your soil. Firm down well when planting out. Use fine mesh or exclusion netting over the warmer months to prevent butterflies laying eggs on the underside of leaves - caterpillars can destroy these plants. Protect against birds which can damage the young seedlings and overwintering crops. 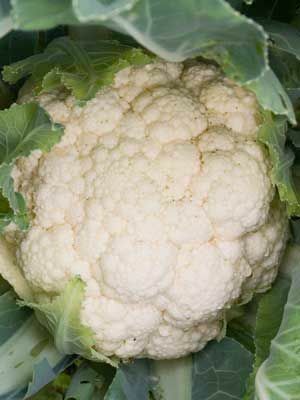 Bend over a few leaves if required so that the cauliflower head is kept shaded while it is forming.